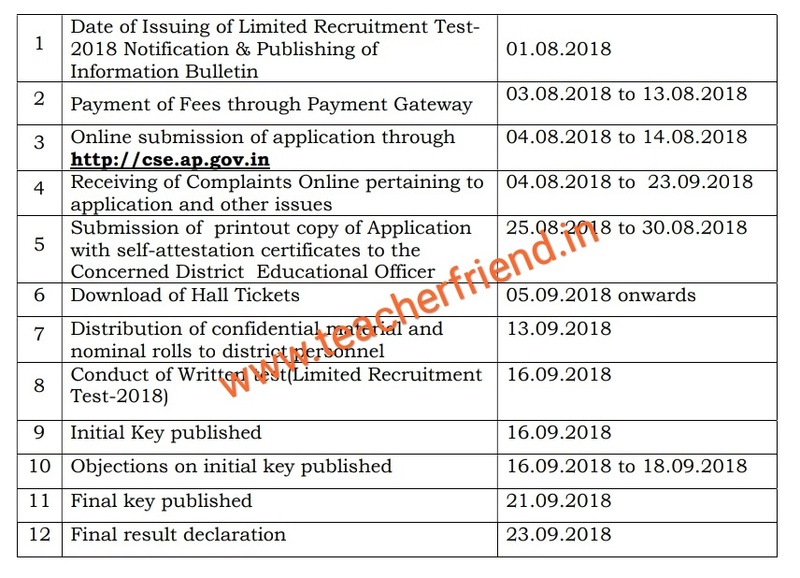 AP Applications are invited for appointment of teachers through “Limited Recruitment Of S.G.T. (U.M)– 2018. The application format is made available in website from 04.08.2018 to 14.08.2018. 20021/106/2016-EXAMS, SE(EXAMS) Dept, Dated.17.10.2017, Govt Memo No.SE-20021/106/2016-EXAMS, SE(EXAMS) Dept, Dated. 06.12.2017 and Govt Memo No.SE-20021/106/ 2016-EXAMS, SE(EXAMS) Dept, Dated. 04.07.2018. The eligible candidates can make application through online for recruitment to the backlog posts of Secondary Grade Teachers (Urdu Medium) in Government, Zilla Praja Parishad, Mandal Praja Parishad Schools and Municipal schools in the state. The applicants have to pay a fee of Rs. 250/- towards application processing and conduct of Limited Recruitment Test through payment. 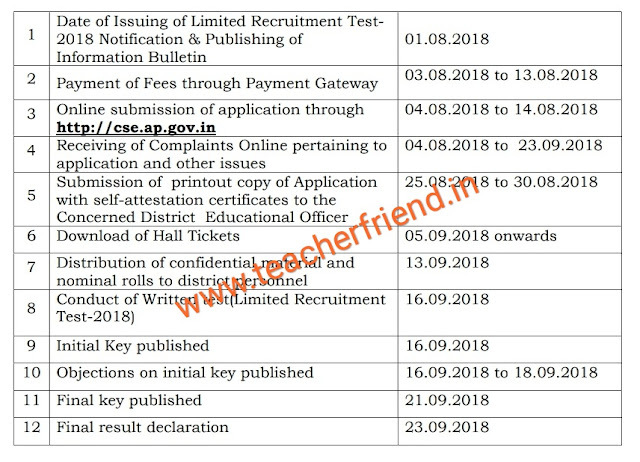 Gateway from 03.08.2018 to 13.08.2018 and submit online application at the CSE website http://cse.ap.gov.in from 04.08.2018 to 14.08.2018. Challenged candidates the maximum age limit is 52 years. his age for the purpose of the maximum age limit. Note:- As per G.O.Ms.No.182 GAD Dt.04.12.2017. qualifications as prescribed in G.O.Ms.No.38, Edn., dated:19/11/2014 are given in the Information Bulletin. The candidates shall appear for written test in the centers allotted to them.